You're a serious crafter. You sew, you quilt, you create mini masterpieces. 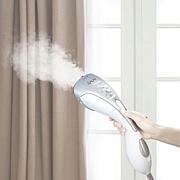 You need the power of this pro iron. Its extra-flat pressing plate helps eliminate those unsightly fabric dimples, and the 30-minute auto shut-off feature allows you to work on your project without losing steam. Let your creativity run wild. 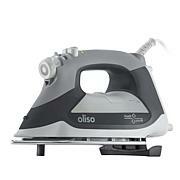 I was so excited to receive my Oliso TG Pro Smart Iron. It is a wonderful addition for my sewing. It gives the right amount of stream when and where you want it. When you take your hand off the handle the feet come out automatic and the iron cools down. It wholes quite a bit of tap water. The iron is very easy to handle. It gives the fabric a great pressing. 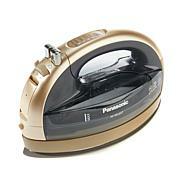 This is the best iron! This is my second Oliso. 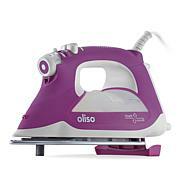 I also have the TG1050 which is now my general clothing iron. I bought this model just for the 30 minute shut off. I love this iron. 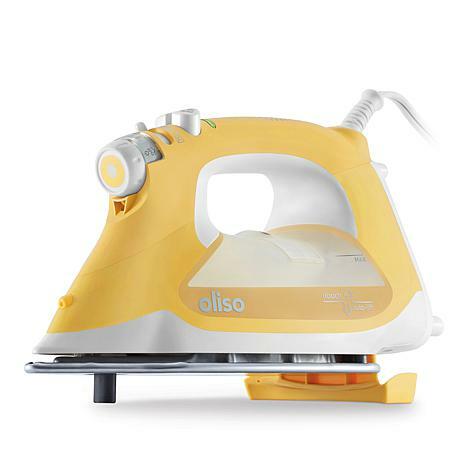 It gets much hotter than the last one, has a longer cord, and just seems to glide on the fabric better.I don't think I'll ever use another iron for my quilting again. This is the best.